The Junction Coffee Co joined our Mission to help provide access to “Clean Water for All by 2030”. This Mission was initiated by the United Nations. A big thank you to The Junction Coffee Co’s team and customers for joining this extremely important mission on 04 April 2018. 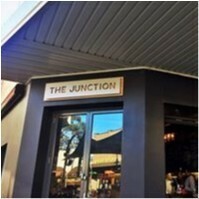 "Located in the centre of Lane Cove market square is the Junction Coffee house. It is a corner shop that servers great coffee and hot chocolate. This place is very busy, especially on weekend mornings. Maybe a little expensive but other wise 5 star!"